Hello everyone! 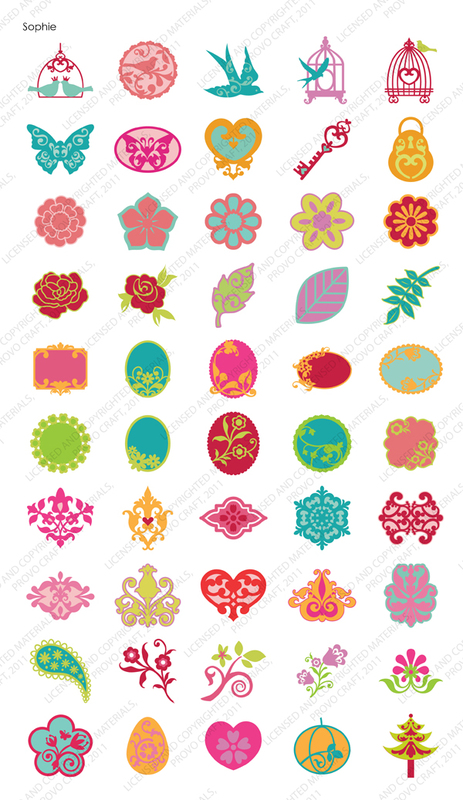 Welcome to the Sophie Blog Hop! 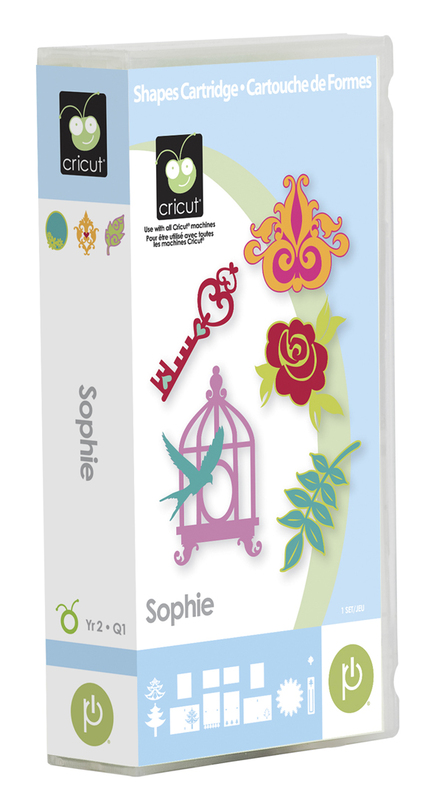 This hop will feature projects made using the Cricut Circle Exclusive cartridge Sophie. This is the first cartridge of the Circle's second year! 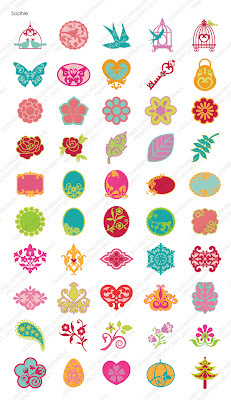 All of the bloggers today are Cricut Circle members. Interesting in learning more about the Circle? Click HERE (http://www.cricut.com/circle/sign.up.aspx). The Sophie cartridge comes with many features including cards, bookmarks, and doilies. Hop along with us to explore the Sophie cart and gain some inspiration! I made a card to share with you today. This card is 6"x6" and opens at the bottom. It is made entirely with KaiserCraft's Be Merry collection (out last year). The doily feature was cut at 5.5". The circle to complete the inside of the doily is from Plantin' Schoolbook, cut at 3.75". That is the one thing about the Sophie cart - I wish the shift key of the doily would cut out a circle to go in the middle. I inked the circle with a Brilliance eye drop pad. The tree was cut at 3.5" with the shift layer as well. I added a yellow skittle at the top to add that special something. It's hard to tell in these pictures but the background paper is actually velvety, which gives this card a great texture and feel when it's in your hands. I added some white ribbon as well across the back. 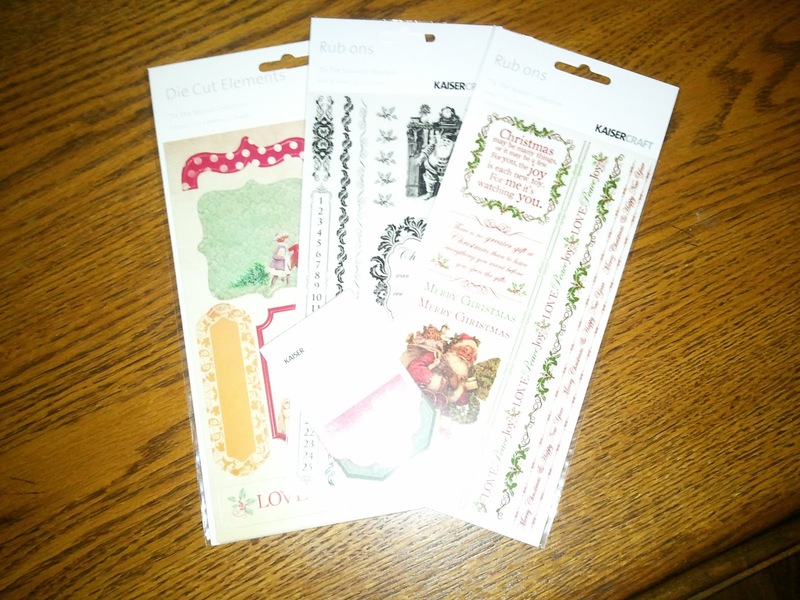 Before you move on to our other bloggers, leave a comment on this post for a chance to win a small pack of things from KaiserCrafts other Christmas line from last year, 'Tis the Season. 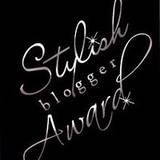 You do not have to be a follower of my blog to win but I would sure love it if you were! Don't forget to leave me a way to contact you if you are the winner! I will announce the winner on Monday evening. At that same time, I will also be posting another Sophie project so you may want to stop back anyway! 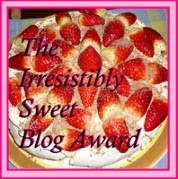 Please go to Tammy's blog next. Have fun! 1. Michele - www.michelegreen.com <--- You are here. 2. Tammy - www.scrapcavecreations.com <--- Go here next! Great card Michele! Thanks for hosting the hop for us. I love how you did the ring of trees around the big central one. 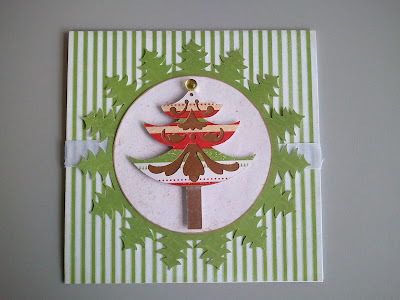 Thanks for this hop..i have yet to explore this cart and now the new one has arrived... Love the tree doily cut on this pretty card. Great card Michele! Love the doily feature and the papers you used! This card is so pretty. The ring of trees and the tree inside the circle are great. Can't wait to see it! Beautiful card! 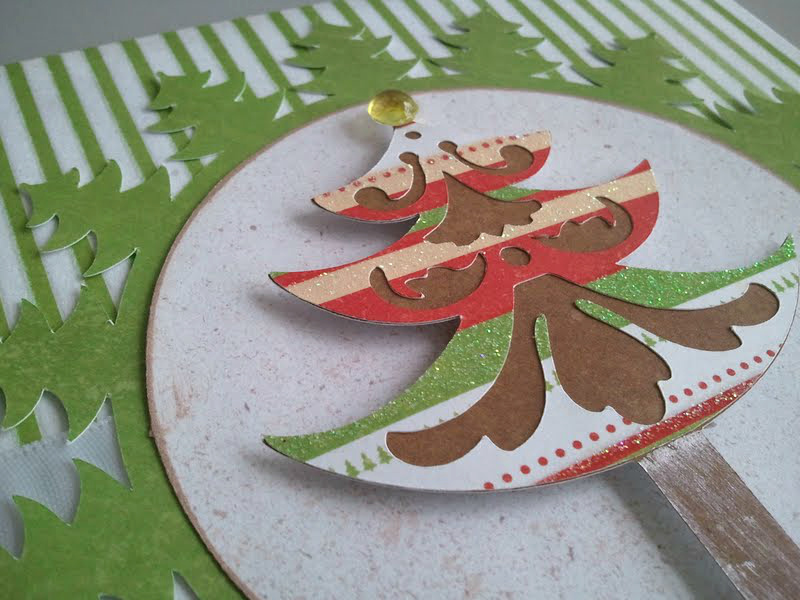 I love the mat with the fun little Christmas trees...adorable! How cute! Love it! Great hop too! I'm already a follower! What a lovely card! Thanks for the chance to win. Love your card! The tree doily adds so much! Thanks for hosting the hop! It's been fun hopping with everyone! Love your card, Sophie is a great cart and what a good idea to have a blog hop featuring it. Thanks. I love your Card. Thanks for putting this hop together, Ive really enjoyed hopping with you. 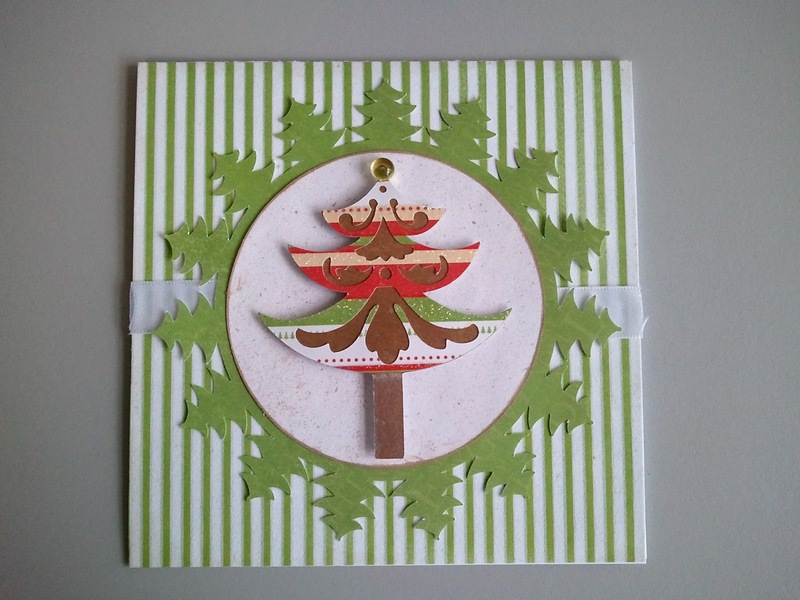 Pretty card, I like how you used the tree doily. I have this cart and haven't used it yet. 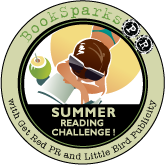 Thanks for hosting this blog hop and providing so much inspiration. Love the card. Thanks for the details. 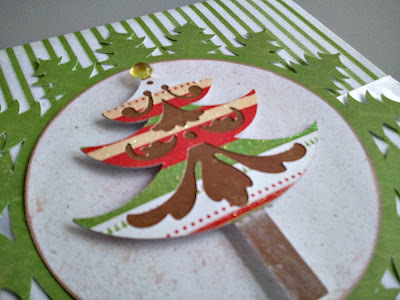 I'm going to scraplift your tree doily and use it on some treat bags I'm making. I just became a follower too. I will definitely check back for more ! Beautiful card!! Is that tree on Sophie? Obviously, I need to look at the book a little more! Love your card! 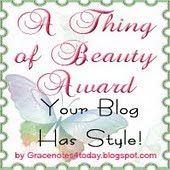 Thanks for hosting this blog hop Michele! Love this card!!! Just got the Sophie cart from rewards and now I can't wait to play with it! Super cute! I love it!!!! Beautiful card! I would never of thought I could do that with Sophie. Very pretty card! I love the colors and stripes! Gorgeous card! I love the tree circle border. I can't wait to pull out this cartridge! Great card! I love how the border matches the main image of the card. 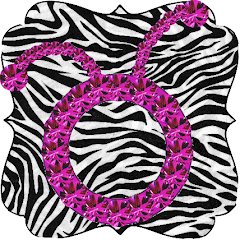 so sorry I am just getting around to checking out the blogs...I was out of town! 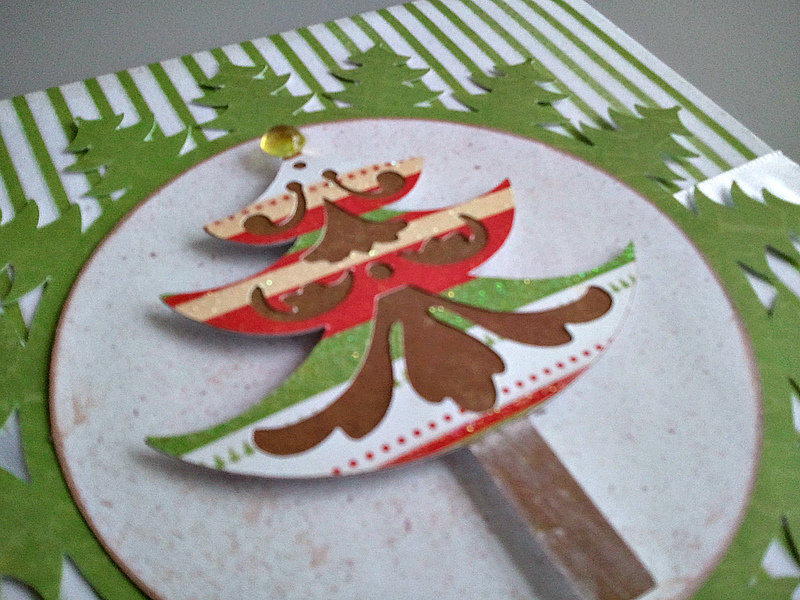 awesome Card and that is a great cut for Christmas! Thanks so much for inviting me to be in a very fun hop!! Great card. Love the tree circle boarder. I appreciate others showing me what the cartridges can do. Thank you this tree is super cute. Cute card- while checking out the cartridge in the Cricut Craft Room I noticed there is a circle on Shift/Card1 key.